That simple sentence distils so much of what is essential about Rotary. We unite, because we know that we are far stronger together than we could ever be alone. We take action, because we are not dreamers, but doers. We work to create lasting change that will endure long after our involvement has ended – across the globe and in our communities. And perhaps most important of all, we work to create change in ourselves – not just building a better world around us but becoming better people ourselves. Each of us came to Rotary because we had a longing – to have an impact, to make a difference, to be part of something larger than ourselves. That desire, that vision for a better world and our role in building it, is what drives us in Rotary. 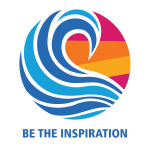 It’s what made us become members, it’s what motivates us to serve, and it’s what led me to choose our theme for this Rotary year – BE THE INSPIRATION. I want to see Rotary BE THE INSPIRATION for our communities by doing work with a transformational impact. It’s time to start moving forward, by removing the barriers that are holding us back. Let’s make it easier to make adjustment in our clubs or start new clubs that suit different needs. Let’s work to strengthen Rotaract and smooth the transition from Rotaract clubs into Rotary. Let’s give all Rotarians the flexibility to serve in the ways that work best for them, so that every Rotarian finds enduring value in Rotary membership. Truly sustainable service, the kind of service we strive for in Rotary, means looking at everything we do as part of a larger global ecology. This year, I ask all of you to BE THE INSPIRATION for sustainable service by addressing the impact of environmental issues on our work. The environment plays a key role in all six of our areas of focus, and that role is only becoming greater as the impact of climate change unfolds. It’s time to move past seeing the environment as somehow separate from those six areas. Clean air, water, and land are essential for healthy communities - and essential for the better, healthier futures we strive for.